LaVarro first began editing over 19 years ago. He has edited everything from his little brother's birthday party to feature-length films. He has a love and passion for the craft and believes video editing is a useful skill for any profession, not just television production. LaVarro first broke into television working as an assistant editor for BET and Left/Right Productions. During his five-year tenure at these companies, he was able to work on shows such as: "I Want to Work for Diddy"(VH1), "Einstein" (History Channel), "Home by Novogratz” (HGTV), and "Kimora: Life in the Fast Lane" (Style Network).“ After working as an assistant editor for years, LaVarro was determined to upgrade to becoming a full-time editor. After switching companies and taking a position as junior editor on a show called "Amish Mafia" (Discovery Channel), he was soon promoted to editor after working on this show for 6 months, and the rest is history! Since becoming a full-time editor, LaVarro has worked on multiple projects for huge networks, such as Lifetime, HGTV, A&E, MTV, VH1, WE, Travel Channel, and many more. In addition to his television career, LaVarro has also enjoyed working on various independent film projects and web series. He has edited shows for YouTube Red (Prank Academy), as well as created and edited an award-winning web series, "Love or Money." These days, LaVarro is working as an editor for the popular late-night talk show, Desus & Mero on Viceland, in addition to editing the second season of a web series headed for national distribution, "Situationships." Although LaVarro has enjoyed his career as an editor, he truly has a passion for teaching. His instruction has had a huge impact on the lives of others, as he has trained multiple students from having almost no skill level or knowledge of editing, to being able to provide a product that is not only professionally done, but also enjoyable to watch. Furthermore, he has witnessed his proteges accelerate into having full-fledged careers working in television, and he would love for you to be next! 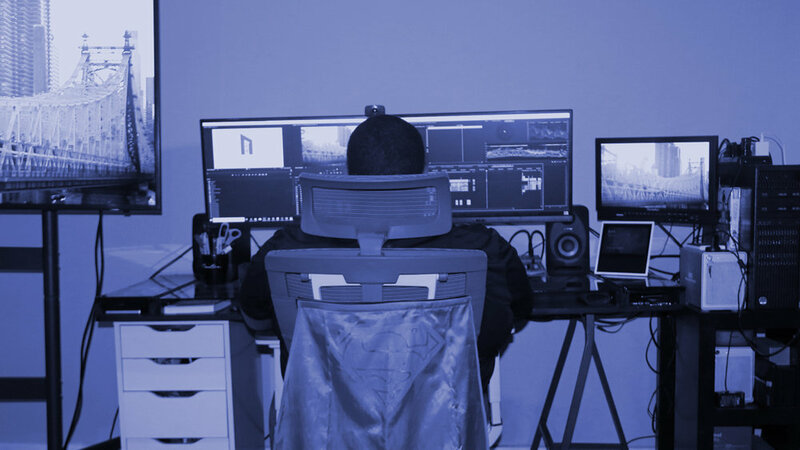 LaVarro is a very knowledgeable and skilled editor, having worked on a variety of televisions shows, music videos, films and digital content. Given his background and experience, he is an amazing teacher. LaVarro is an extremely patient teacher and knows how to make the subject matter very simple and easy to understand. His lessons have enabled me to expand my work as a producer and enabled me to be able to work in post-production. Anyone who desires to learn anything about editing needs to learn it from LaVarro! Out of all the instructors that I've learned editing from, I must say that LaVarro has perfected the art of simplifying what could be a very complicated skill, and making it not only achievable but enjoyable as a creative. Prior to working with LaVarro, I had minimal editing experience. I was familiar with the craft and dabbled in it a little bit, but not nearly enough to be confident in putting out quality work that I was proud to showcase. Furthermore, LaVarro not only takes the time to explain industry standards (including the differences between different editing programs and the specific projects they're used for), but he also makes sure to teach you the importance and proper ways to set up and organize your footage for your edit (which can be an editor's worse nightmare when done incorrectly). All that being said, LaVarro's curriculum not only made me confident as an editor to be able to work on my own projects, but I was able to beautifully showcase my content that eventually propelled me into a full-time career in television and producing. Long story short, LaVarro is worth every single penny! FIVE STARS ALL AROUND!!! In the short time that I've worked with LaVarro, I've turned from a novice that only touched premiere once before, into an intermediate skilled video editor who has the ability to seamlessly work on different projects- from interviews, to web series, and promotional videos, I've learned the ins and outs of editing in a fast paced timeline from him. I came to LaVarro expecting to take half a year to get proficient in editing and feel confident in my skills to go into the workforce. But within a few short months, I was able to bring my skills up to the level of receiving my first paid job for editing an anti-bully event that was shot at Hofstra University and have since gone on to do promotional videos for an up-and-coming podcast, a YouTube show, and my own projects! LaVarro's teaching style is a mixture of presenting new challenges each time you approach a computer while giving you the space to learn and experiment on your own. The new challenges expand your abilities and he will continuously create new ways for you to expedite your workflow to get you to the next level. It's been an incredible experience working with someone who has over 10 years of experience in the industry and has worked for top networks consistently in his lifetime. I would recommend him to anyone with serious ambition and drive to become a video editor.